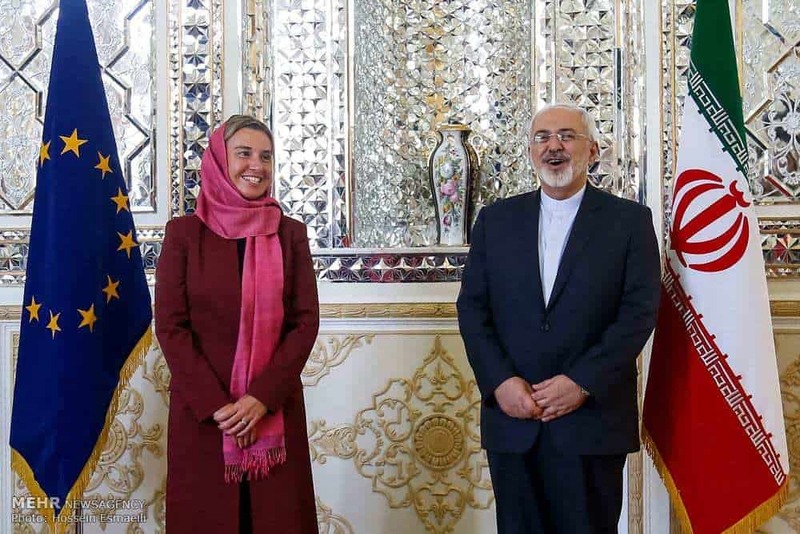 The same EU and UN voices who rushed to condemn the U.S. recognition of Israel’s capital as a flagrant violation of international law, supporting the emergency General Assembly resolution on “Illegal Israeli actions” which implicitly declared the U.S. decision “null and void”—have suddenly lost their voice when it comes to brave Iranians getting arrested, beaten, tear-gassed and shot for protesting their oppressor. At the UN, Secretary-General Antonio Guterres spoke of his “great anxiety.” Special Coordinator for the Middle East Peace Process Nikolay Mladenov said that the measure “could seriously undermine peace efforts” and cause “repercussions across the region.” High Commissioner for Human Rights Zeid al-Hussein called the U.S. announcement “dangerously provocative,” and claimed it directly led to casualties resulting from Palestinian riots. Yet when it came to Iran, the reaction from most of the EU and UN was silence for days, followed by the pathetic line that they are all “closely monitoring the situation,” mixed with mild expressions of concern, and typically a moral equivalency between the brave protesters and the oppressive regime. Notably, Jahangir has failed to issue an official U.N. statement or press release on the Iran protests. Releases are sent out to world media and posted on the U.N. website, and can have potentially significant impact. “We are following the protests in Iran very closely: both the actions of the demonstrators and the words of president Rohani,” Italian foreign minister Angelino Alfano stated late on Monday. “The French authorities are closely following the situation in Iran,” according to a statement by a foreign ministry spokesman on Tuesday. “The right to protest freely is a fundamental right. The same is true of the free flow of information. France expresses its concern at the large number of victims and arrests,” he added. Following demonstrations in Iran. Important that further violence is avoided. Freedom of assembly is a basic human right.